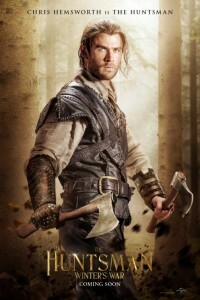 This sequel to the movie Snow White And The Huntsman features Chris Hemsworth in the returning role of The Huntsman. Charlize Theron returns as the evil queen but this time around, thankfully, we are spared having to look at the talentless, dreadful actress Kristen Stewart as Snow White. Universal, the film’s distributor, had to pay Charlize Theron $10 million after she demanded to be paid the same amount of money in salary that Chris Hemsworth was receiving after the Sony Studios computer hack revealed that actresses were not being paid the same as their male costars. The studio, however, is taking a gamble with first time French director Cedric Nicolas-Troyan. Snow White And The Huntsman opened in theaters on June 1, 2012 and took in just over $155,000,000 at the U.S. movie box office. Maleficent: working or productive of harm or evil. Pronounced: ma·lef·i·cent.